For the longest time, I posted a weekly update here on the blog where I would just touch base on anything that was on my mind at the moment that I sat down to write. Sometimes, it had to do with my current reading. Sometimes, it was completely random and nothing to do with books. I have discovered that since I have discontinued this feature at the beginning of the year I have felt that I am missing something. I miss writing those posts. I miss those little check-ins. And, I miss the accountability that it provided me for writing regularly here on the blog. Therefore, I've decided to bring them back. But, I've decided to change it up. I used to post every Monday, and I called the feature Monday Maunder. I do not want to be restricted to only posting these weekly thoughts on Mondays because Mondays tend to be one of the craziest days of the week for me. Plus, the graphic was getting a little old. 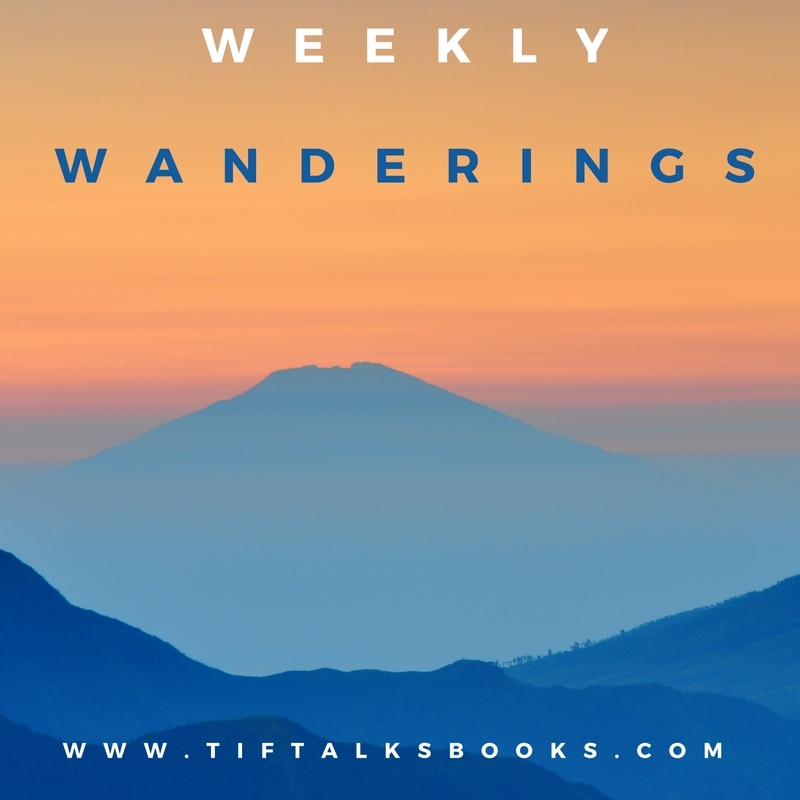 I decided to give myself a bit of flexibility by changing the name to Weekly Wanderings. The name still reflects the randomness that the post may hold, but it also allows me to post it anytime during the week. I will likely stick to sharing early in the week, but it will not require me to with a name like Monday Maunder did. With the new name, also must come a new image. 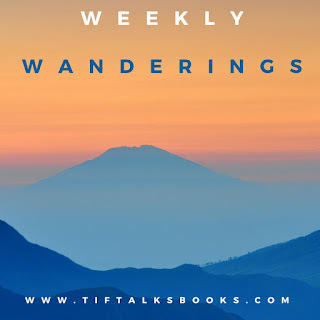 May I present to you, the new Weekly Wanderings image . . .
For a long time, I used PicMonkey to assist me in creating a few of my images for the blog. Recently, I have begun to also use Canva, and this is just one of the images that I have created thanks to this amazing website. I love the clean cut designs, and the options you have to create either complex or more minimalist images. I could spend hours just creating on both of these websites, but alas, I only have limited time these days. I really have so much to share with you about life and reading these days, but I will save the topic of current reads for next week's conversation. For now, I will leave you with a video of a song that has been playing in my head for about a week now. I had the opportunity at the end of October to attend a Ben Folds concert, and I had such a blast! I knew the man was talented, but really it goes beyond that. He is amazing and funny and I couldn't have asked for a better night out with my husband. I hope you enjoy! What are your thoughts on these weekly check-in posts, whether it be my new Weekly Wanderings or another that is floating around out there? Or, would you rather talk about the music of Ben Folds?!? I like it! I need to do a post like this on my blog. It would give me something to blog about since I'm not always reading. Jenny ... I thought it would be good to get rid of it, but I missed it! I'm glad I've brought it back!